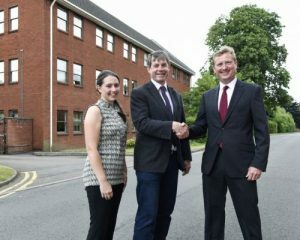 After moving to Chestnut Field House in 2013, Cottons Chartered Accountants in Rugby have now acquired ownership of the property following a six-figure funding deal with Royal Bank of Scotland. The move further cements the well-established branch’s presence in the area ensuring it’s prepared for more growth in the future still. If you have been keeping up to date with our blog you will know that in 2017 Cottons have enjoyed significant growth, acquiring larger premises in Northampton and opening a branch in London too. We established the firm in 1983 and have been offering accountancy services, specialist audit reports and business advice to local SME’s ever since. Cottons are proud to be one of the leading chartered accountancy firms in the Midlands and to use our own experience of growth over the decades to assist our clients in their own business development; an essential service for businesses nowadays. Like their counterparts in Northampton, this move allows Cottons Chartered Accountants in Rugby to give their current clients an ongoing, robust and reliable service at the same time as offering their provisions to even more businesses from the local economic area. Our partners and accountants are not only well versed in tax, accounting and business development, but they also have first-hand experience of what it’s like to work in and maintain a growing business due to the Cottons brand history. This means that we can provide experienced and relatable advice to give our clients the advice they need with efficiency and direction. If you would like to talk to us about your plans for growth, how to achieve funding for your business or ongoing tax, accounting services then contact your local office today. You might also be interested in our corporate finance division.